This time the spotlight will be shining on Wills and Wonders, a strategic affair in which you get to tangle with… mythology! Let’s help it escape the cold emptiness of Greenlight limbo, eh? 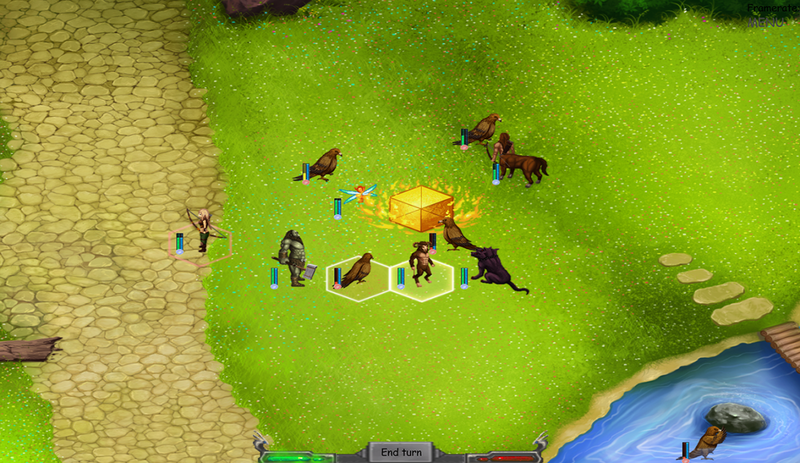 Wills and Wonders is a turn based strategy game in a fantasy setting. Wills and Wonders brings you on an adventure through Earth’s mythology as you embark on quests to capture creatures, find skills, and recruit new leaders. Ah, mythology. Always fun. Mostly because of all the craziness that involves, from strange creatures to one-eyed giants. Or maybe I’m thinking of something else? Nah, pretty certain those are part of Earth’s mythology. Also, what the above quote doesn’t tell ya, is that… eventually, you’ll get to “experience Ragnarök first hand” (if that doesn’t sound enticing, then I don’t know what does). Apparently this involves conquering territories, capturing monsters (or creatures, I suppose), training and then forcing them to play for your team, along with genre stables like quests and abilities. What’s a strategic affair without abilities / spells / some such, after all? FIREBALL! So riddle me this, dear reader: why is Wills and Wonders still struggling to get through Greenlight? It may not be out just yet, but even so, why not visit its Greenlight page and hand over a ‘yes’ if you like what you see? Remember: your vote could make all the difference!